Today I am going to review Inglot's HD Lip Tint Matte lipstick in the shade #12. HEXYLENE GLYCOL,TOCOPHEROL,SILICA,TIN OXIDE,BENZYL BENZOATE,[+/-(MAY CONTAIN):RED 6 LAKE (CI 15850),RED 7 LAKE (CI 15850),YELLOW 5 LAKE (CI 19140),BLUE LAKE (CI 42090),RED 27 LAKE (CI 45410),IRON OXIDES(CI 77491,CI 77492,CI 77499),TITANIUM DIOXIDE(CI 77891)]. Shade:The shade that I picked is #12. 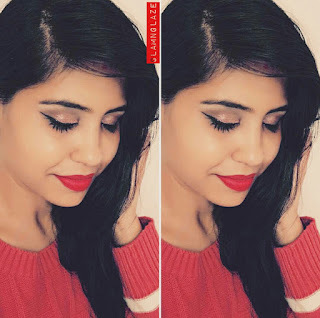 It's a bright red.I love red lipsticks and that is why I purchased this one. *The lipstick-tube is made up of acrylic and the lip-colour can be easily seen through the tube. *The lid is of matte-black colour which I love. *The lipstick has a doe-foot applicator. 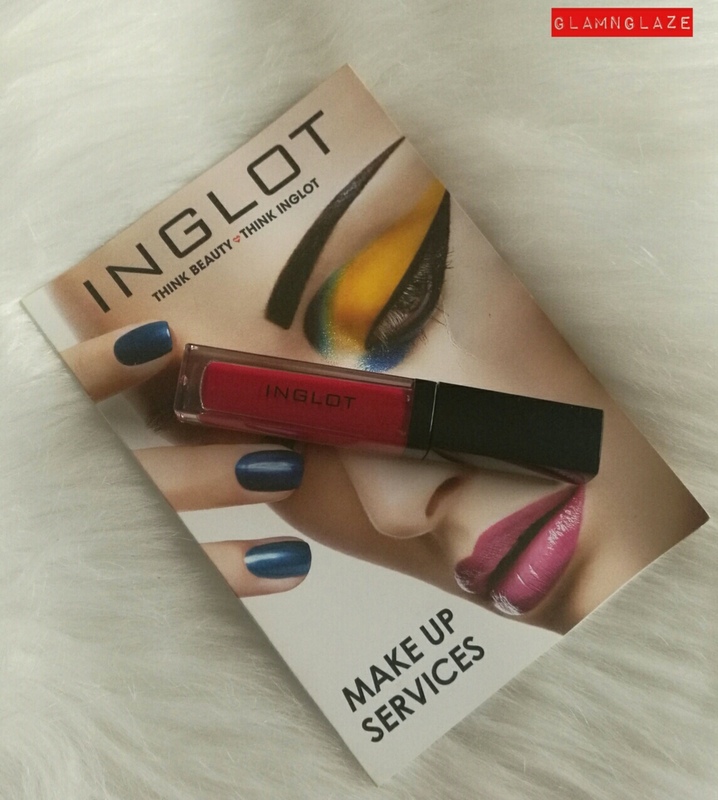 *Very lightweight.Apply the product and you will forget that you have lipstick on your lips! *Fragrance:*Has a fruity fragrance that vanishes as the time passes.Not overpowering. 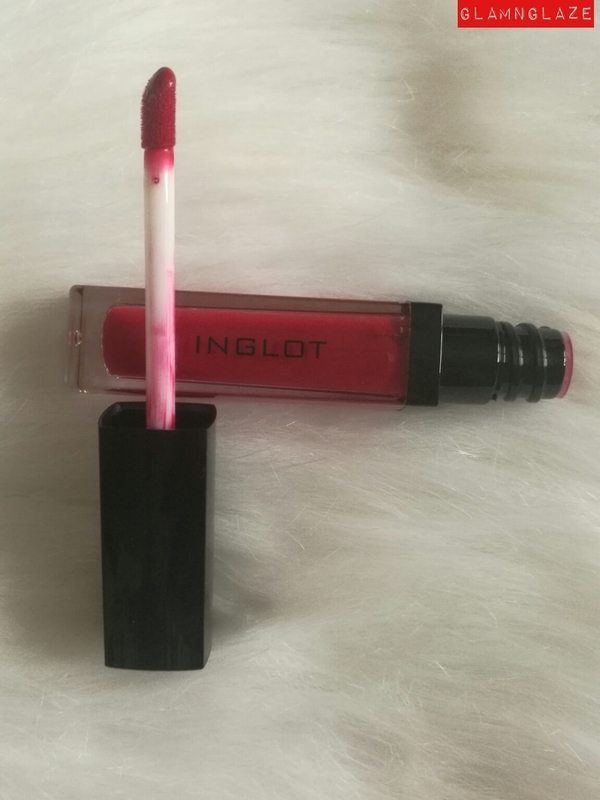 Highly recommend this liquid lipstick!!! Your matte lipstick is so good. 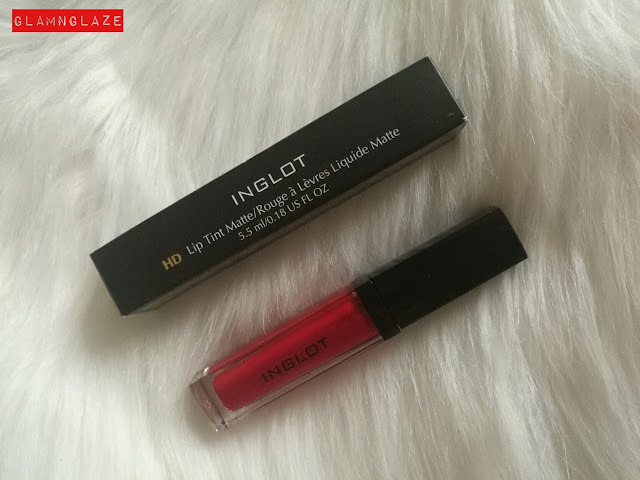 Thanks to share this beautiful matte lipstick. I believe makeup is an important part of women's life. I can't imagine a single day without my makeups. I love to use my favorite Liquid Matte Lipstick for my lip.